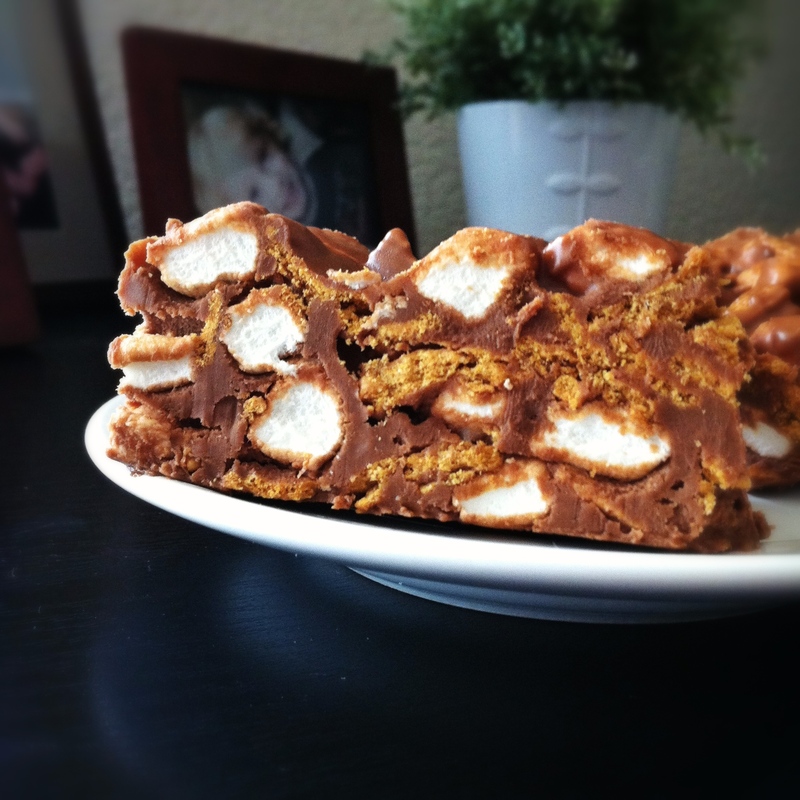 indoor s’mores | omfg. so good. When it’s hot outside, bring the s’mores indoors. 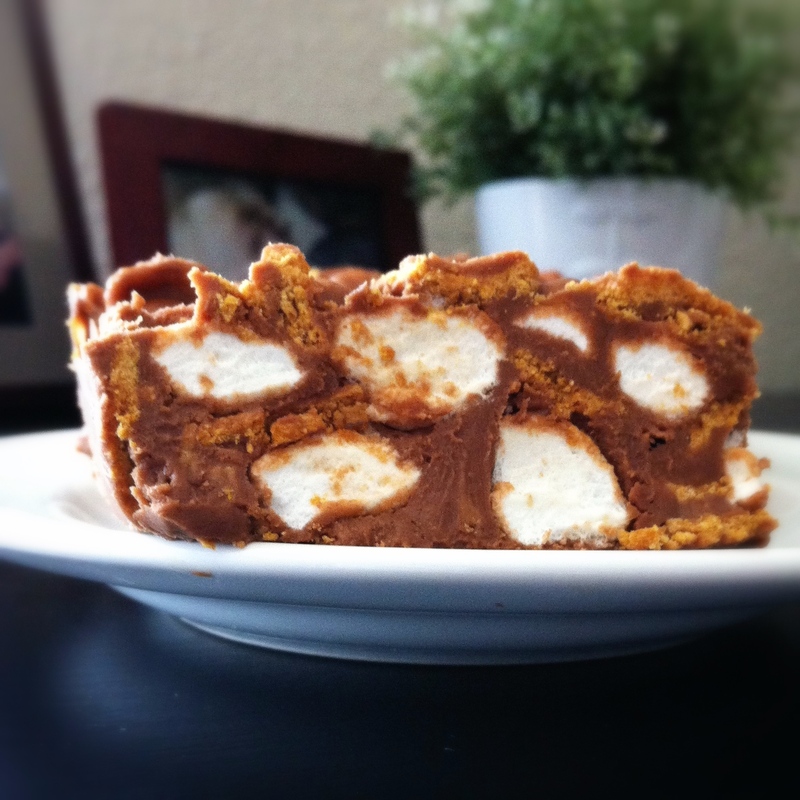 I have very fond childhood memories of these sugary, tooth rotting, s’mores bars. And they’re just as good as I recall. 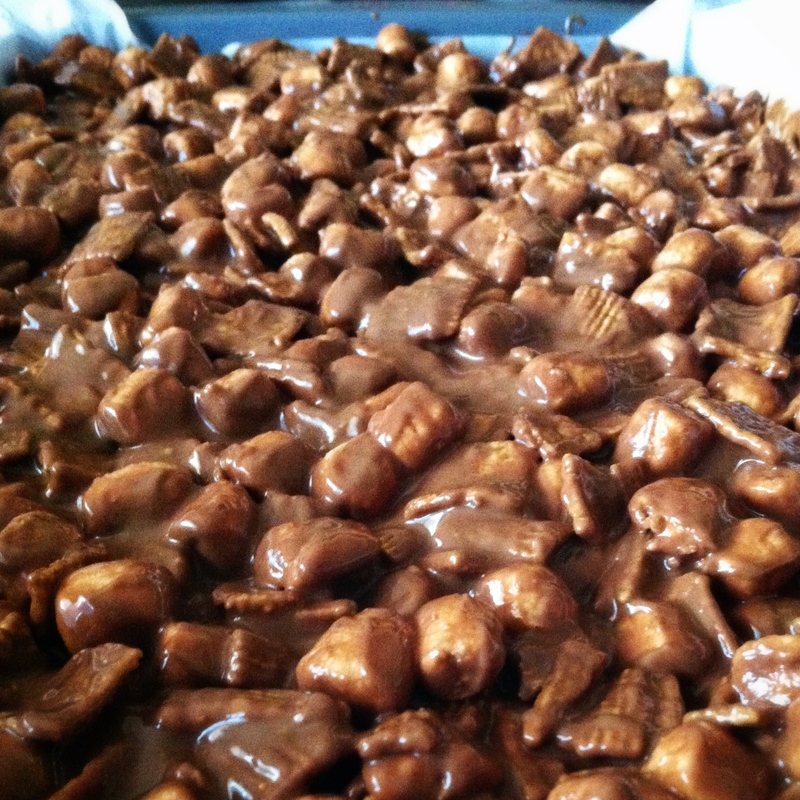 Maybe even better since I took it upon myself to add butterscotch chips to the mix for an extra punch to the sweet tooth. These literally take around 15 minutes to mix up, and not much longer to set if you throw the pan in the freezer. 15 minutes well spent, if I do say so myself. Kids of all shapes and sizes will swoon. Even those in their mid-to-late 20’s who made fun of me for saying something dumb like ‘indoor s’mores’ in casual conversation. Spray a 9 x 13″ pan with cooking spray and line with parchment paper. 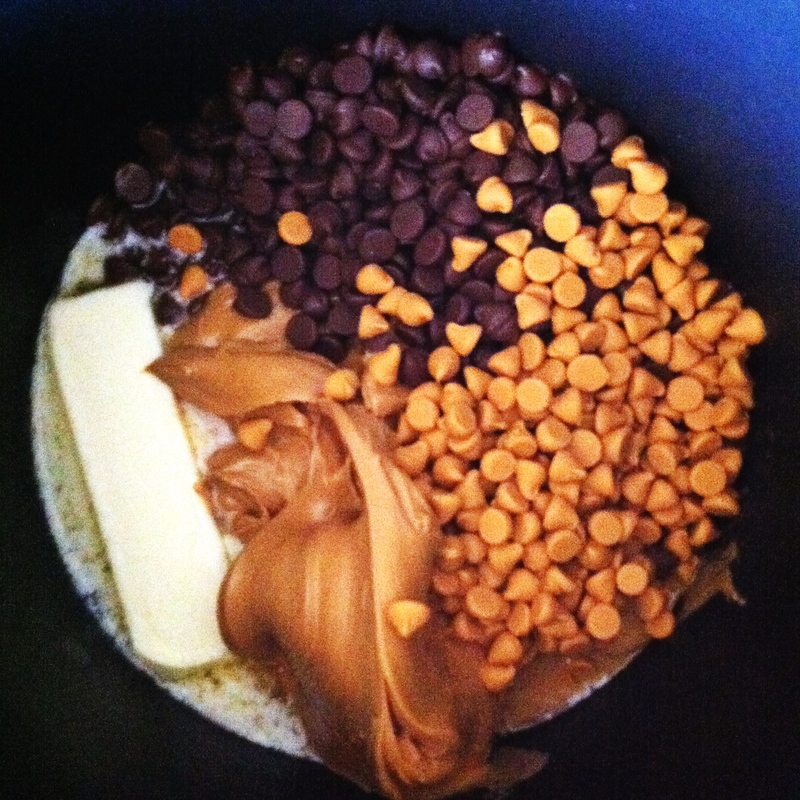 In a medium saucepan, melt the butter, peanut butter, chocolate chips and 3/4 of the butterscotch chips over medium-low heat until smooth. 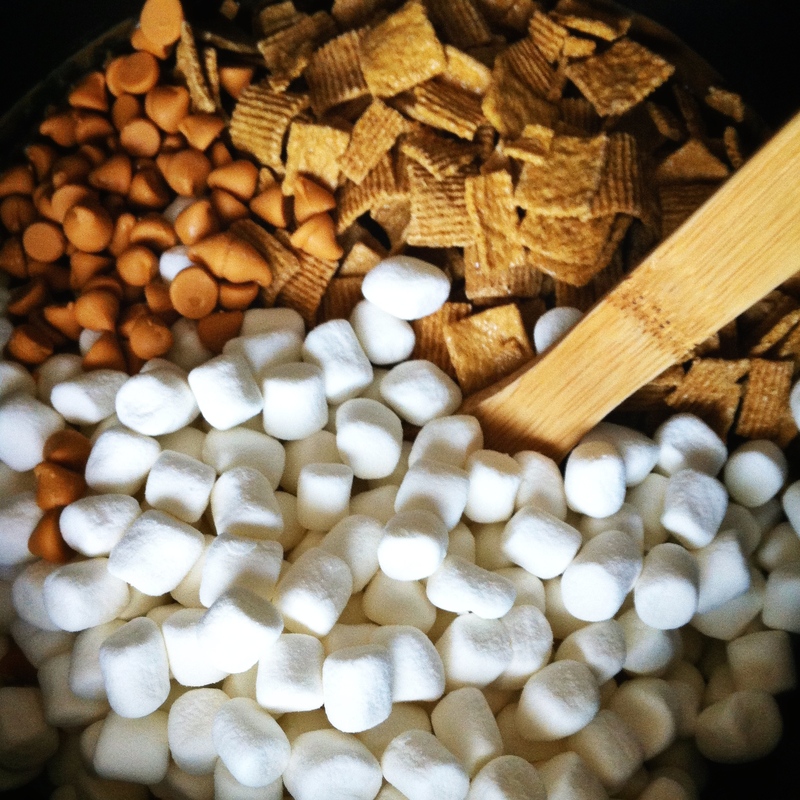 Remove from heat and cool slightly then add marshmallows, Golden Grahams and remaining butterscotch chips and stir gently to coat. Pour into the prepared pan and press down to a firm, even layer. Refrigerate for an hour (or more) to set, then cut into individual bars. I like to keep these in the refrigerator. But then, as I’ve previously mentioned, I currently live in the bowels of hell. A.K.A., Arizona in summer. I’ve said it before. I’ll say it again. You should make these. And maybe share them. Or maybe not.